Scuttle's Scooters takes you on a circular trip with some gentle rises and falls. The cars rotate 180 degrees half way through the ride for an added thrill. Suitable for all ages, provided you don't get queasy on spinning rides. 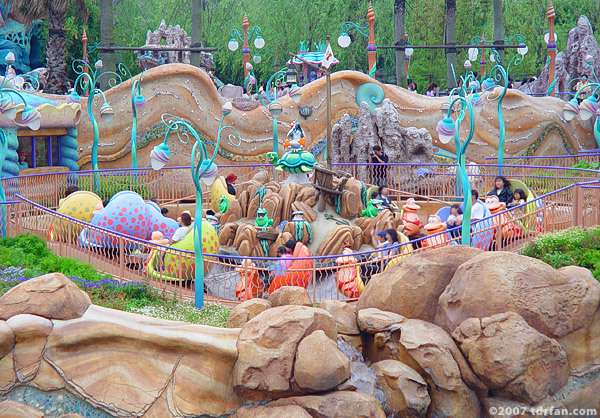 This one is located in the outdoor area of Mermaid Lagoon.